I ALMOST used these holly dies for my card too, lol! Really cute Christmas card. 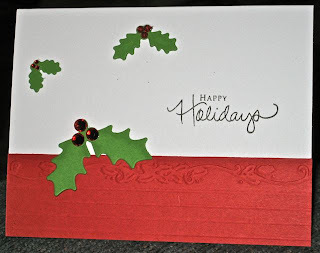 Fun holiday card - I really like the way you used that embossing folder border.